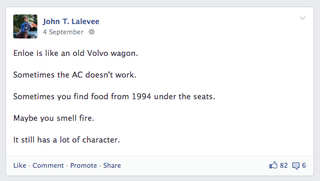 comparing my High School to an old Volvo wagon and I got 82 likes. I like my school. And Volvo wagons.